﻿ History of Bergstrom Aircraft | Bergstrom Aircraft Inc.
Karl Bergstrom was born in Stockholm, Sweden, where he discovered his passion in the mechanical trades and went to work for the Swedish airline, TransAir. After getting his aircraft maintenance certification and pilot’s license at Big Bend Community College in Moses Lake, Karl Bergstrom went to work as chief mechanic for Tri-City Airways at the Pasco airport in 1968. Bergstrom’s started in 1971 as Karl Bergstrom Aircraft Services, offering general aviation maintenance; in 1975, they incorporated and became Bergstrom Aircraft. Avgas refueling service was added in 1976 with the purchase of a fuel truck. Jet refueling was added two years later at the request of Western Airlines, the second airline to operate out of the Tri-Cities Airport. In 1981, Bergstrom became a Beech Aero Center. Flight instruction, aircraft rental, and aircraft sales were added. The next logical step was charter flight service in 1983 with the addition of a Beech Duchess, N6635B. Beech Aircraft Company presented Bergstrom Aircraft with an award in 1984 for being the fastest growing Aero Center in the world! In 2003, Bergstrom was also given the “Washington State FBO of the Year” award. The company continues to prosper as it has for more than 45 years under Karl and Elenor’s guidance. Karl passed away in 2016, but his pioneering spirit of hard work, leadership, and love of aviation live on today through our company, which is still owned and operated by his wife and children. 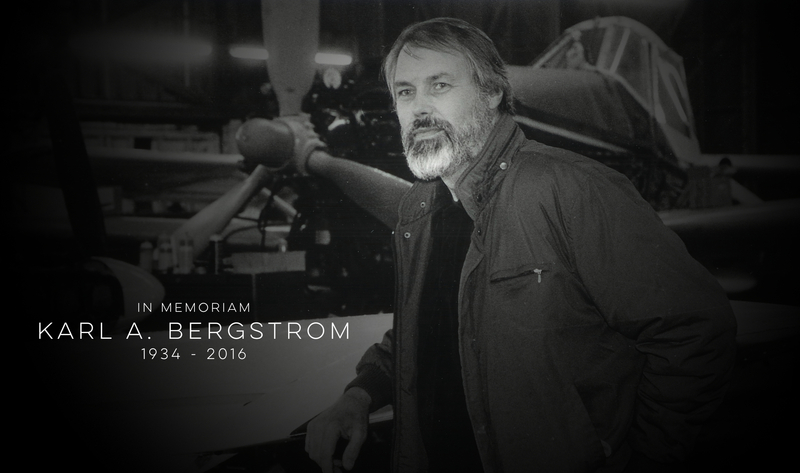 Bergstrom Aircraft has established a scholarship — the Karl A. Bergstrom Memorial Aircraft Maintenance Technician Scholarship — in his memory. This scholarship will be awarded annually to a recipient seeking to further their education in the trade of aviation maintenance. To donate to this scholarship, please use the PayPal button below. To read the featured article that the Tri-City Herald did on Karl’s passing, click here.